Kindle FreebieI should point out a few things for the sake of this review. (1) I have nothing against hunting. I think vension is yummy (so is reindeer). Now, I believe that the hunting should be sporting (ie no aerial hunting thank you). And someone should use the animal (so giving the meat away to shelters is fine). (2). I support Defenders of Wildlife, in large part because I love wolves and Defenders seems to treat fairly with those ranchers who live near Yellowstone. This essay is about the conflicted surronding wolves in one Alaska's state parks and where(if) they should be hunted. Ross is very up front with what is going on, and she seems to have spent equal amounts of time with pro-hunters and pro-wolves. She respects and likes both groups. This is to her credit because she doesn't make one group into saints. 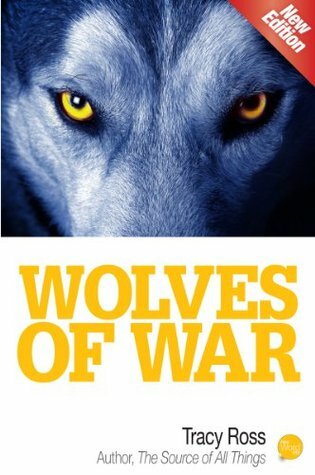 Killing wolf with tracking collar is wrong, but so it threatening the family of the man who hunts wolves.It isn't a clear sided essay, and Ross seems to be exploring the conflict. I like this, though I come down in large part on the side of the wolves - (Ranchers should kill wolves who are eating thier stock, but some of the traps that Ross describes are just wrong. Honestly, if you treated an animal in the city like that you would so be facing charges. Also Ross is talking about hunters and not ranchers in this essay. True, the hunters want to make sure game stays at a healthy level).